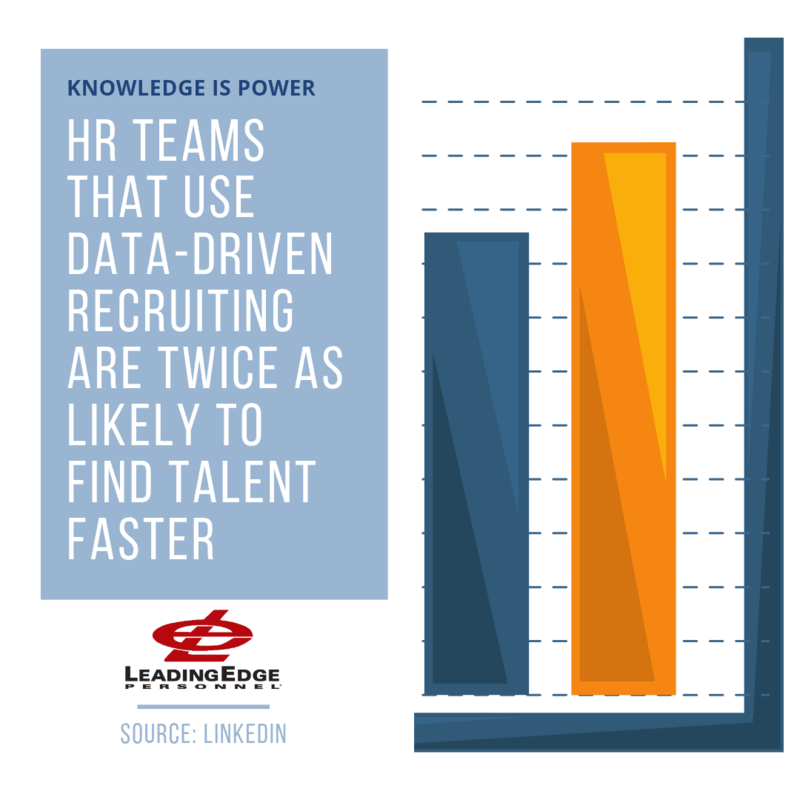 According to a LinkedIn study, companies who use data-driven recruiting strategies hire twice as fast. In a market where time is of the essence, and it feels like hiring is never fast enough, the ability to hire twice as fast as your competitors is a major differentiator. Data-driven recruiting can level up your organization. More importantly, you can use data to make decisions based on actual information rather than hedging your bets on intuition. Looking for a roadmap to setting up your data-driven recruitment strategy? We’ve got you covered. Subscribe now to get the roadmap and more! Let’s face it, many applicant tracking systems don’t handle information the way we need. As a result of the shortfalls of many ATS systems, recruiters can become overwhelmed by their daily tasks. If your basic tasks are overwhelming, how can you hope to set up a system to monitor the science behind them? With a strategic plan in place, implementing a data-based recruiting strategy is achievable. One of the best ways to determine which metrics to use in developing a data-based strategy is to partner with hiring managers. Firstly, when you talk to hiring managers or stakeholders, find out what’s working and what’s not. Ask your hiring managers what they need to know about the process and what insight they value the most. When you’re developing your data-driven roadmap, you should decide what you’ll use to track your information. Your data should be input with a consistent format and therefore, it is a best practice to have one person responsible for importing or uploading this data. There are a number of other platforms available on the web that integrate with multiple ATS systems easily or using a connector like Zapier. Now that you’ve figured out what data will be meaningful to your organization. Additionally, you know how you’re going to manage it. But, what will do you with that data? What lessons can you learn? It can be frustrating to get to the end of the line, make an offer and subsequently lose your new hire. We’ve all been there! Often, candidates have valid reasons for declining an employment offer. However, there’s a lot to learn about your own hiring process when you lose a candidate. Hiring a new employee takes an offer, training, and development of a relationship. Moreover, losing that investment hurts your team and your bottom line. In short, you need to hire better. And with data, you can! If you’re spinning your wheels and trying to understand why you can’t hire better, it’s time to look to your numbers. Understanding the science behind hiring can level up your team and efforts. If your team has strategic goals in place, hiring can’t be the one thing holding you back. Stay tuned for more pro tips, industry leading information and compliance information. Not only do we use data-driven recruitment, but we also learn market trends, statistics, hiring metrics and staffing as an industry. We’d love to partner with you in office staffing. LeadingEdge Personnel strives to provide the best office staffing in Austin and San Antonio.